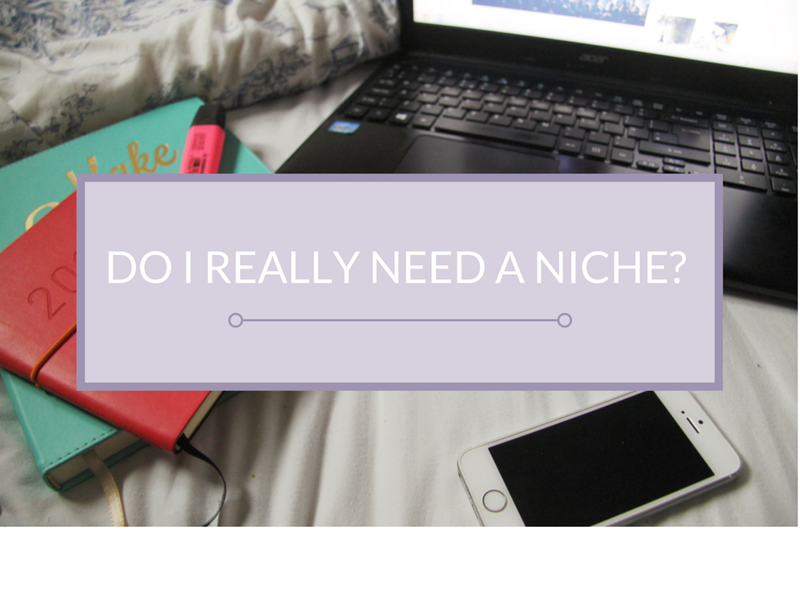 SARAH ELIZA: Do I really need a niche? This is a post I've put off writing for too long and this month after feeling overwhelmed by the blogging community, I felt it was about time I tackle this post and hopefully get my point across as well as even creating some discussion maybe. Over the past year countless posts entitled "How to grow your blog"(or such that go along those lines) have drawn my attention as, while I love the small following I have with my blog, I find it interesting the ways people have found to grow their blogs. When reading these posts, more often than no,t a tip they give is "to find your niche". When I first started blogging I was primarily a beauty blog with a bit of book related posts every so often and I seemed to stick to the beauty for quite a few months but before blogging, beauty wasn't actually my favourite thing and as I've grown up I do indulge more in the beauty counters but it's still not what I wanted and still don't want my blog to be all about. I started to introduce more lifestyle, book, music, personal posts etc and my blog became full of different topics that I felt could reach out to different people as well as being a way of enjoying blogging all together as I had more to talk about causing me to feel more passionate about what I've been writing. For the past year I've continued to post what I wanted-whether it be beauty or something else- but still bloggers tell us that to grow your blog you have to find your niche and to me this is frustrating as someone who just wants to themselves with their blog and not feel constricted by a blogging genre. When I did my blogging survey at the end of last year, most people said they read my blog for the beauty and the books as well as other life style posts and so, through out January, I've tried to produce a range of different posts to try and please my readers but one person it isn't pleasing is myself and that's a big problem as it affects my writing and the passion I feel towards my posts. This is for a number of reasons but I'd like to pass some of the blame on to the fact I've been trying to find my "niche" and I don't think it's working. I'm struggling to find where I stand and I've realised the only niche I need to be is my own niche however stupid and full of cheese that sounds.This is because I have to enjoy what I write and I, along with other bloggers, shouldn't feel that the only way to grow a blog is to find a blogging path and stick to that-don't cut through the woods and join the next path and the rejoin the old path again; you have to stick to your chosen path but I feel that if I want to dip my toes into other genres of blogging and run wild across all paths of the metaphorical blogging forest then I will. I don't feel we have to feel obliged to stick to a niche. My main problem with the whole "niche" thing (as well weirdly finding the word annoying) is that people feel, for their blogs to grow, they have to find a niche but I think this is wrong. In my opinion, I want my blog to grow with readers and friends who don't expect a review a week or for you to post beauty exclusively and I want you, my readers, to embrace the different aspects of my blog. I would rather that with a small amazing audience then an audience that expect me to post a certain post a week. I feel like I've babbled and hopefully I haven't greatly offended anyone in this posts as that was not my aim- it was to just express an opinion and thoughts that I've needed to speak about for a while and one that I would love to hear your thoughts on. If you agree or not at all I'd love to know what you think!